Sharon Springs – Tammy I. Masterson, 53, found Heavenly peace and comfort on Tuesday, June 26, 2018, surrounded by her loving family. Tammy was born on November 23, 1964 in Newport, Rhode Island to Janet I. Norton and Francis W. Masterson, Jr. and proudly served her country in the United States Navy from 1984-1988. Tammy’s nurturing and caring demeanor shone through her career as a Licensed Practical Nurse and within her own family, selflessly giving her time and talents to her aunt and grandmother as they aged. She was devoted to her family and her steadfast faith in her Lord and His promise of eternal peace, all of which sustained her throughout her life. Cherishing Tammy’s love and memory are her sons: Steven M. Martinez of Tampa, FL and Thomas Q. (Natassia) Martinez of San Diego, CA; her parents: Janet and Francis W. Masterson, Jr. of Sharon Springs; her grandchildren: Thomas O. Martinez and Natalia Martinez both of San Diego, CA; her siblings: Dawn (Thomas) Sawn of Saratoga Springs, Penny (David) Groom of Jacksonville, FL, Heather (Jon) Prokop of Middleburgh, Francis (Janet) W. Masterson, III of Sharon Springs; her aunts: Susan M. Masterson of Walpole, MA and Jo (Paul) Kaiser of Wells River, VT; her uncle: Stephen G. Masterson of Gallupville and several nieces, nephews and cousins. A memorial service will be held at 11AM on Tuesday, July 3, 2018 at Coltrain Funeral Home, LLC 134 River Street, Middleburgh, with Pastor David Houck officiating. Interment, with Military Honors will follow in the Saratoga National Cemetery. All are invited to visit with Tammy’s family from 10 – 11AM on Tuesday prior to the memorial service. 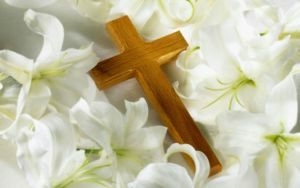 Please visit www.coltrainfuneralhome.com to share online condolences with Tammy’s family.